Ministry of Health reports have confirmed that one person has died of Crimean Congo fever in Bwijanga Sub-county, Masindi District. MASINDI – One person has been confirmed to have died of Crimean Congo fever in Bwijanga Sub-county, Masindi District. According to the senior public relations officer in the Ministry of Health, Mr Emmanuel Ainebyoona, the deceased, who is a health worker, died in Kikingura village. “There is a health worker who died at the end of December 2018 and the blood sample tested positive of the Crimean Congo hemorrhagic fever,” said Mr Ainebyoona. Asked about what Government is doing to handle the outbreak, Ainebyoona said medical officers are on the ground to sensitize the public and following up on any cases that may be reported. “The public should remain calm and report to medical officers any suspected cases” he added. He advised that people should not confuse the Crimean Congo hemorrhagic fever with Ebola. Residents in Kingura in Bwijanga sub-county Masindi are living in fear after their fellow resident Simon Muhangamaiso died with acute fever. He was buried on New Year’s day by the officials from world health organization and medical officials fro the Ministry of Health. 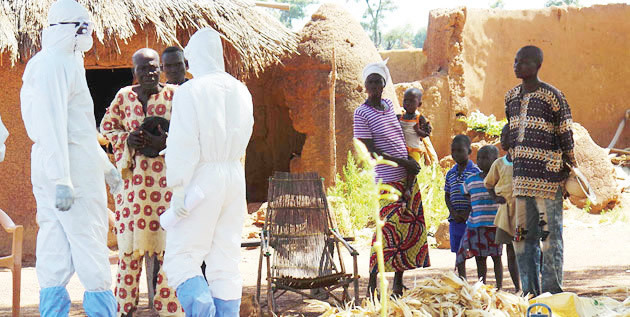 The Masindi District health officer Dr John Turyagaruka urged the residents to stay calm saying the tests taken shows it was not Ebola but Crimean Congo hemorrhagic fever. ´We need health experts on the disease to screen our locals, so that we can understand who is sick for emergency attention ´Ms Olivia said. Crimean-Congo Hemorrhagic Fever and Rift Valley Fever was last year reported in Nakaseke and Luwero respectively. Earlier in December 2017, the Uganda Virus Research Institute (UVRI) confirmed a positive case of CCHF in Nakaseke district. As of January 18, 2018, two confirmed and seven suspected cases had been investigated in Nakaseke district. Three of the seven suspected cases were close relatives of the patient. Samples from the seven suspected cases tested negative for CCHF. The CCHF virus is transmitted to people either by tick bites or through contact with infected animal blood or tissues during and immediately after slaughter. The majority of cases have occurred in people involved in the livestock industry, such as agricultural workers, slaughterhouse workers and veterinarians. Human-to-human transmission can occur resulting from close contact with the blood, secretions, organs or other bodily fluids of infected persons. Hospital-acquired infections can also occur due to improper sterilization of medical equipment, reuse of needles and contamination of medical supplies.